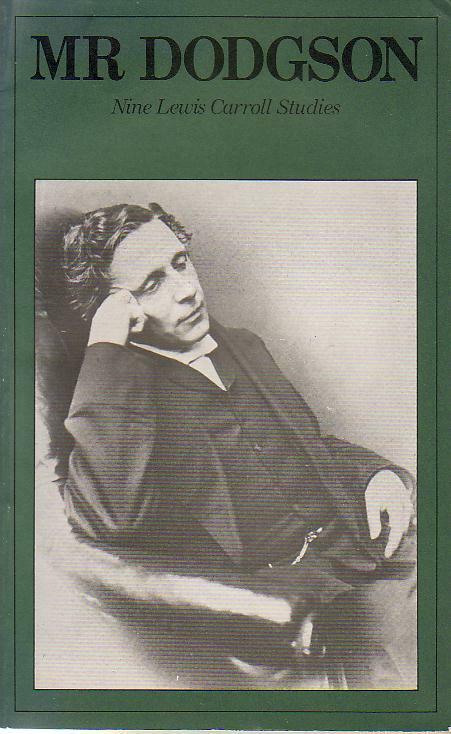 Mr.Dodgson: Nine Lewis Carroll Studies, with a Companion-guide to the “Alice at Longleat” Exhibition. Edited by Denis Crutch. 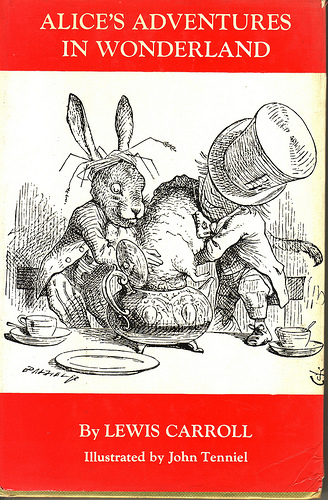 Published by The Lewis Carroll Society (April 1973). With 16 black and white illustrations (including Photographs & facsimiles) and a folding genealogical table. ‘Giles‘ published by the Daily Express. Paperback. 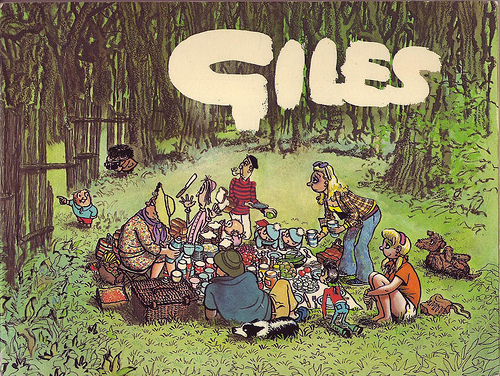 Ronald “Carl” Giles (September 29, 1916 – August 28, 1995), usually referred to simply as Giles, was a cartoonist for the Daily Express from 1943-1989. Collections of Giles cartoons were produced annually from 1946. This is the 27th of the series (1973) with introduction by Michael Parkinson. 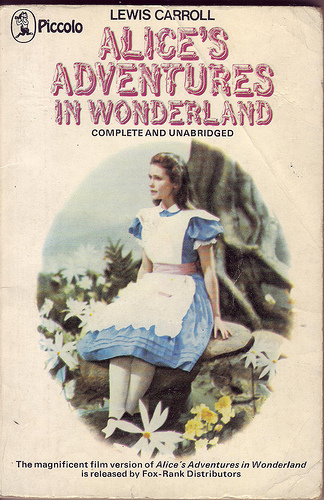 The only Alice connection is the cover, with the ‘Giles family’ on the front, and the redoubtable Grandma attending a Mad Hatter’s tea party on the back. Alice’s Adventure in Wonderland by Lewis Carroll. Piccolo Pan, 1973. Mass market paperback. No illustrations, but there are colour photos from the Fox-Rank film starring Fiona Fullerton as Alice, Peter Sellers as the March Hare, Dudley Moore as the Dormouse, Robert Helpmann as the Mad Hatter, Ralph Richardson as the Caterpillar, and with Michael Hordern, Spike Milligan, Dennis Price and Flora Robson. The pencil mark inside tells me it was bought for 25p (which is also the original price on the back cover! ), but goodness knows where from. Possibly the second hand bookshop in Southwold at a guess. 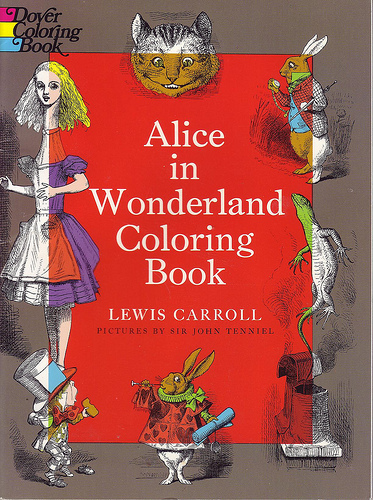 Alice in Wonderland Coloring Book: Carroll/ Tenniel. Yes, I do mean ‘coloring’: it’s an American edition. Paperback, first published by Dover Publications 1973, but no idea when my copy was printed. Published by Macmillan, 1973 impression.